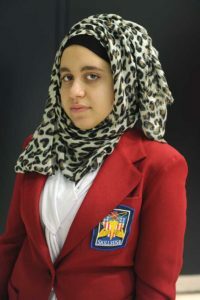 At just barely 16 years old, Rawan Saleh was eager to participate in SkillsUSA’s national Advertising Design contest. She’d only arrived in America from her native Jordan three years prior, after being well known for another kind of talent. Her family left just as Saleh was on the verge of becoming a TV star. “I’d been on the radio and I was kind of famous, and I went to ‘Arabs Got Talent,’ ” she says. After moving to Louisville, Ky., Saleh first attended the Newcomer Academy, which is for students who speak English as a second language. After only a year, she was ready to move on to Fern Creek High School, says her teacher, Lauren Ison. Another difference between her native and adoptive countries is that powerful public speaking can earn someone a performance on the Middle Eastern version of the “Got Talent” franchise. Recreating her performance, she fiercely delivers her words in a manner difficult to ignore. Today, the student hopes they will bring understanding and change minds. Saleh most definitely has talent — in public speaking and advertising design. She’s competed in SkillsUSA’s Prepared Speech event, but her design skills took her to the national championships. They also earned her an opportunity to work with the nonprofit YouthBuild. 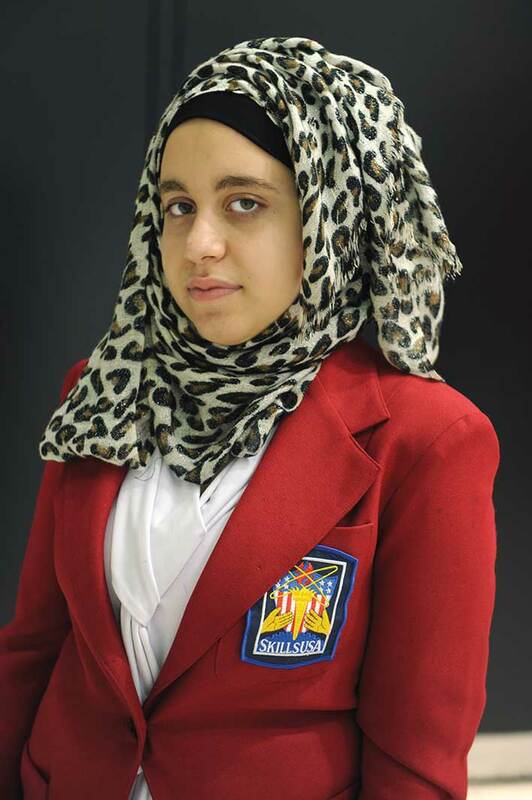 Saleh says SkillsUSA helped her navigate a new life and that others should join, too. Like her, they may discover something about themselves that they didn’t know.